24 simple and and stylish sewing projects. 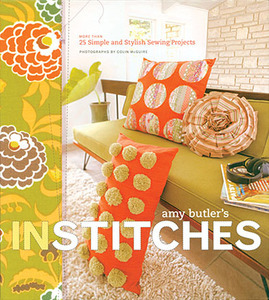 Celebrated designer Amy Butler brings her fresh, modern style to the timeless craft of sewing. Iin this lavishly illustrated collection of patterns, she presents 24 projects ranging from cushy floor cushions to smart aprons to stylish handbags.